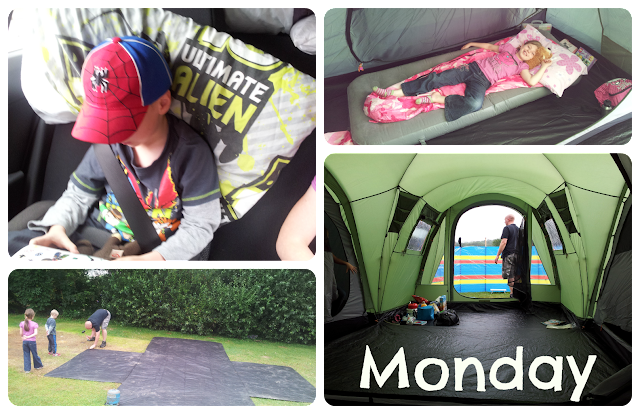 The majority of last week was spent camping in Dorset and despite the rain we still had a lovely time and did so much while we were there. Monday - After dropping the poochie off at the kennels we headed to Dorset. We set up camp, popped to Morrisons for supplies and spent the evening relaxing with a few Jack Daniels and cokes in our tent and watching the kids playing in the play area. Tuesday - We went to a lovely farm for the day and enjoyed feeding goats, grooming ponies, pig racing a wonderful deer safari and playing on all the the play equipment. In the evening we had dinner and had another relaxing evening doing puzzles and Sudoku while the exhausted Mini Mes slept. Wednesday - It poured down today but we decided to go out anyway and not let it ruin our break. 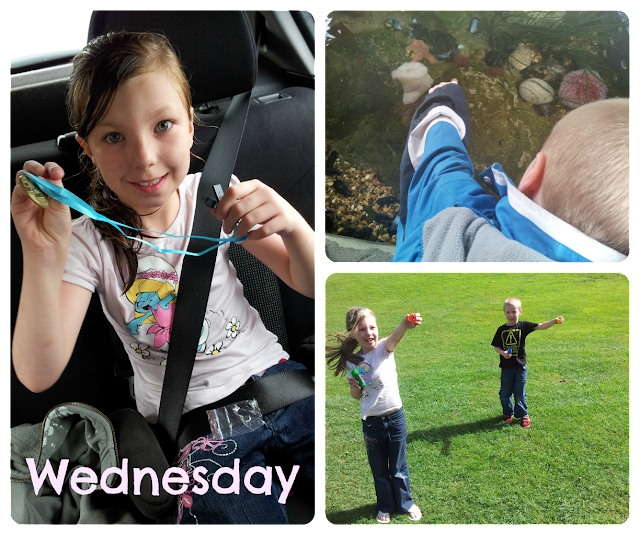 We went to a great Sea Life Adventure Park in Weymouth where we got to touch star fish, crabs and shrimp, see some beautiful creatures and follow a trail with questions on route. The Mini Mes collected their medals afterwards and we called into Morrisons cafe on the way back to camp. By the time we were back the sun had made an appearance so the kids played on the field with their bubbles until dinner. Thursday - We had a disastrous experience with Paulton's today which ruined our plans completely. We ended up packing up and coming home early as heavy rains and winds were due the following day but a Domino's pizza for dinner did help a little! 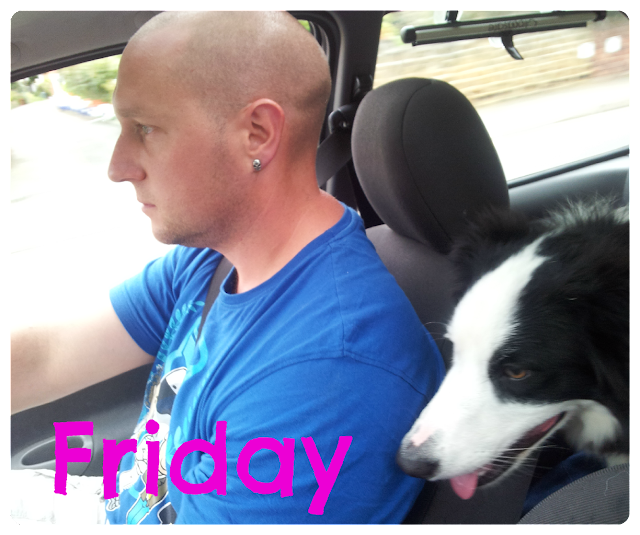 Friday - We spent most of the day unpacking, sorting washing and trying to get the house back in order. We picked up the poochie and then the Mini Mes went to their dad in the afternoon so the Mr and I went to the cinema and saw Expendables 2 which we loved (I'm quite a Jason Statham fan). Saturday - Today consisted of housework, food shopping, and chilling! The Mini Mes returned home around 5pm so after some dinner, showers and bed I sorted out our picnic and printed documents ready for Lollibop. Sunday - WOW! 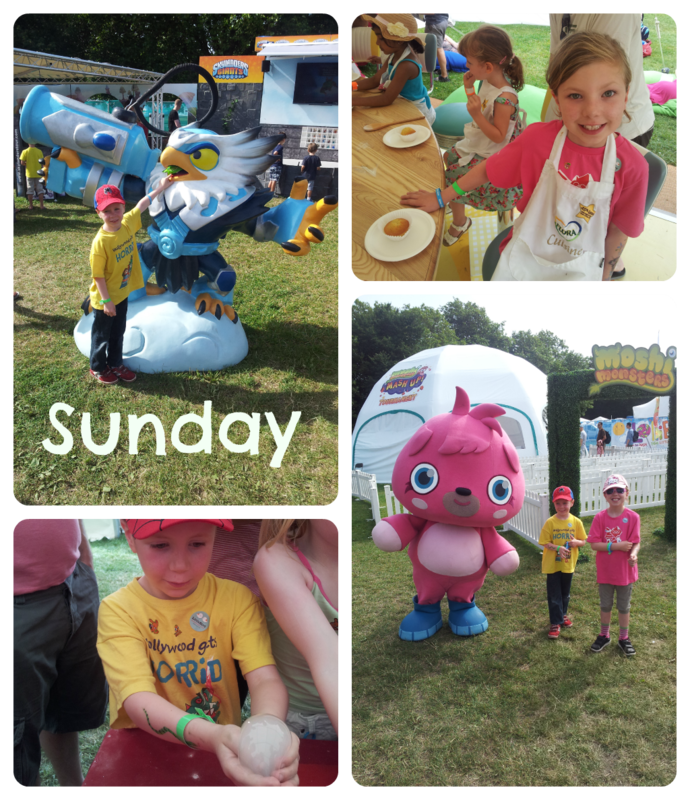 Such a beautiful, hot day and we had an amazing time at Lollibop in London. We had VIP tickets so we received some lovely freebies from various tents and enjoyed the Bloggers Lounge for free refreshments throughout the day and to shade from the sun. We arrived for opening so it was really quiet and we were able to walk straight in to see the Moshi Monsters, Skylanders, Ella's Kitchen and Face Painting. We left around 3pm, walked to Mornington Crescent station and headed home. 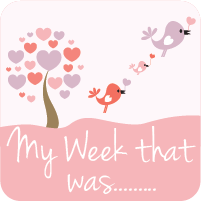 wow what a lovely week ! !